LPO, PROTECTIVE SEAT COVER, REAR. 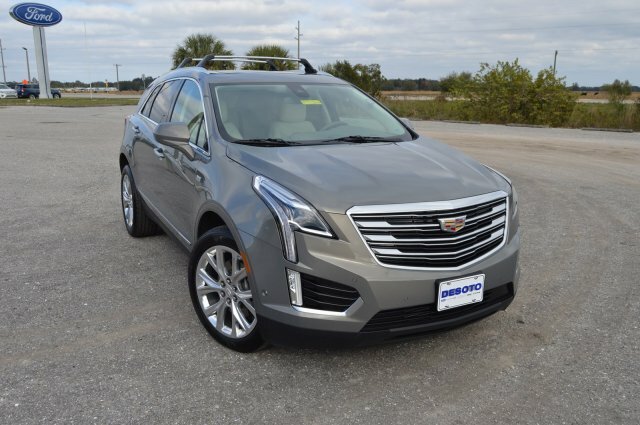 This very clean, one owner Cadillac XT5 Premium Luxury AWD comes nicely equipped with a responsive 3.6L V6 engine, 8-speed automatic transmission, electronic dual zone climate control, heated/cooled leather bucket seats with 2nd row fold-down split bench seat and driver's memory feature, Trailering Equipment, Driver Assist/Advanced Security Packages, OnStar, navigation, side/knee airbags, forward/reverse sensing w/backup camera, remote/push button start, panoramic ultraview sunroof, keyless entry, side blind zone alert, lane keep assist, adaptive speed control, tilt/telescopic steering, power liftgate, windows, locks and mirrors, privacy glass, auto-on/off headlights, 4-wheel ABS, vehicle anti-theft system, variable speed intermittent wipers, traction/electronic stability control, auxiliary power outlet, rear window defroster, roof rack, universal garage door opener, all weather floor mats, tire pressure monitoring system, 20" slurry polished wheels, Bose/XM satellite radio, and balance of factory warranty. LPO PROTECTIVE SEAT COVER REAR.